We return once more to PlayStation Lifestyle’s “Celebrating a Series,” where we select a property from PlayStation’s vast library and explore what lies on the horizon. The series’ inaugural entry ventured into uncharted waters. 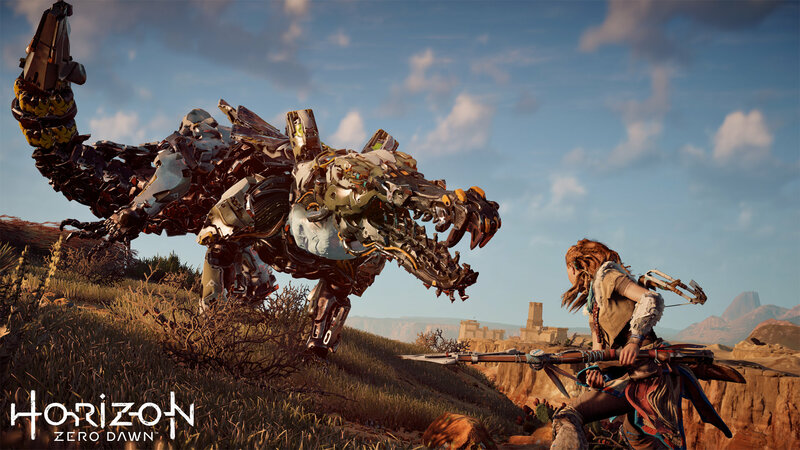 This time, as evidenced by the opening sentence’s shameless pun, we ponder what may be in store for Horizon Zero Dawn’s inevitable sequel. 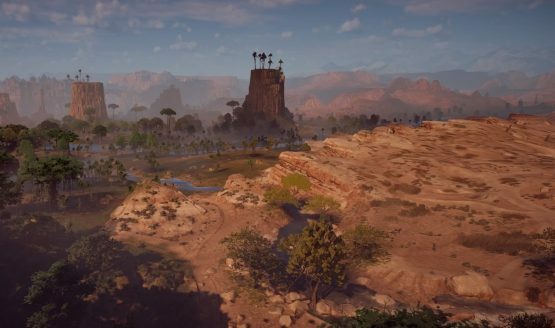 Since the internet is already awash with what fans want to see, particularly with regards to story and gameplay, we thought it’d be fun to examine a few aspects of Horizon’s potential that are often overlooked. 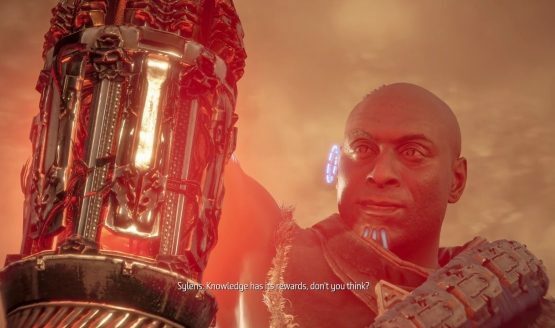 A post-credits scene closes Horizon Zero Dawn’s unique narrative, depicting Sylens’ capture of the energy that bursts from HADES’ presumably deactivated form. Sylens tells HADES there’s still much to learn, specifically about its master and whomever sent the signal to awaken it. 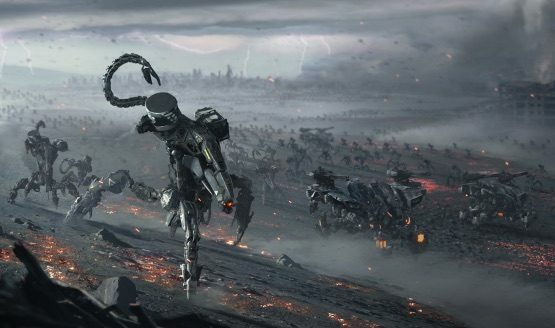 The scene is ominous, as Sylens approaches a downed Horus, a “Metal Devil” machine responsible for much of the destruction unleashed in Horizon’s pre-apocalyptic world. But why start a celebration of Horizon here, at story’s end? Every hour played before the aforementioned scene, every metal flower picked, and every terminal read contributes to the overarching narrative’s masterfully written conclusion. To celebrate Horizon’s closing moments, then, is to celebrate the package in its entirety. Naturally, this final scene likely informs where Horizon’s sequel will pick up. Yet, since the specifics remain a mystery, we’re only left to speculate the possibilities, theorize where Guerrilla Games may take the story next. Because the subject of Sylens has already been broached, perhaps it’s best to begin with him. Sylens appears neither good nor evil. Sure, he betrays Aloy’s trust by evidently giving her his lance to, unbeknownst to her, release HADES for his own gain. Yet, Sylens never portrays himself as anything other than someone after information about the old world. Thus, he comfortably resides in a morally gray area, cold and disconnected from his fellow man. Curiously, it’s possible Sylens is no man at all. He could be a cyborg, perhaps one whose technology is linked to GAIA’s Apollo sub-function, which originally housed all of the world’s knowledge. It’s true that after construction on GAIA was complete, Ted Faro (Faro Automated Solutions CEO and unintended architect of the apocalypse) destroyed Apollo, supposedly fearing the information would culminate in yet another extinction at the hands of humanity’s hubris. But what if a copy of Apollo exists, having been designed by another scientist in case something went awry? What if, somehow, Sylens is that hypothetical lost copy personified? The character’s thirst for knowledge, and his eagerness to garner it by any means, certainly bolsters such a theory. Another theory worth acknowledging is that Sylens could be related to Ted Faro, as either a distant relative of a Faro clone, or even a clone himself. Since GAIA was able to create Aloy to embody the capabilities of Project Zero Dawn’s architect Elisbet Sobeck, it’s feasible that Faro may have worked to ensure a version of himself could experience mankind’s reemergence. Admittedly, little evidence supports this particular bit of conjecture. Still, Faro must exist in the world of Horizon beyond his numerous pre-apocalyptic mistakes. If it isn’t in the form of Sylens, perhaps Faro’s lingering influence rests in whomever, or whatever, nudged Hades awake. When speaking of Horizon’s future, story and character represent the foremost significant aspects worthy of speculation. Of course, the sequel’s potential setting serves as another. Horizon’s setting predominantly consists of parts of Colorado and Utah. Meanwhile, The Frozen Wilds DLC looks based in areas of Wyoming. Will the eventual sequel retread these spaces? Possibly. Though, the hope is that Horizon’s follow-up will explore other sections of its post-post-apocalyptic world. One area in particular ripe for exploration? The Forbidden West. The Forbidden West most notably garners mention in a datapoint, found in the Blazon Arch area of Shadow Carja territory. In the datapoint, someone shares tales of the Forbidden West, all in an attempt to thwart adventurers from traveling there. Presumably, Nevada and California constitute this storied territory, where people have ventured in search of riches and the like. Most never return. Those that do, however, are injured, sometimes fatally wounded, and speak of horrors beyond imagination. Apparently, all manner of unknown vicious machines and treacherous landscapes make the Forbidden West, well, forbidden. At face value, it seems perfect for a new game’s setting. Furthermore, its ominous qualities could mean answers sought by both Aloy and Sylens rest within it. And if we know Aloy, such an Herculean challenge is nothing but another feat to master. With all this talk of a potential sequel, there exists one avenue many may be entirely disregarding. Might Horizon 2 be a prequel? Honestly, the world Guerrilla crafted appears rich enough to support several prequels and a number of sequels, so why not? In moving forward with this train of thought, the logical option is that a prequel takes place during the events preceding Zero Day. Essentially, Zero Day served as the projected date upon which all life on Earth would cease to exist, following total eradication by the Faro Plague. How does Zero Day open the door for a hypothetical prequel, then? Simple, the protagonists could be soldiers fighting in the ongoing battle of Operation: Enduring Victory, which world militaries united to launch in an effort to give Sobeck and her teams time to complete Project Zero Dawn. Those on the frontlines of Enduring Victory fought the corrupted machines, believing development of Zero Dawn would produce a super weapon, one to end the robotic onslaught. Obviously, this was a lie. A prequel about this period, which lasted well over a year, would offer insight into the experiences of those on the frontlines. Imagine finding the journals of such combatants, especially once it becomes clear that hope is on the decline. Envision playing as a series of soldiers in a first-person shooter, à la Battlefield’s War Stories, but with Guerrilla’s Killzone expertise. At this point, such a game seems little more than wishful thinking. Nevertheless, it would provide an awesome experience. Horizon: Zero Day? It kind of writes itself. Despite previous statements, gameplay does deserve mention. In many respects, gameplay-wise, Horizon Zero Dawn constitutes a near-perfect experience. Nothing feels better than downing a Thunderjaw, or overriding a Sawtooth and Ravager to combat one another, while Aloy slinks along unnoticed. Aloy’s bow warrants praise as a triumph in game design, too. Plus, the various ammo types make an excellent exercise in tactical prowess. Yet, there are a few gameplay-centric improvements that will hopefully be on display in the sequel (or prequel). For one, Horizon’s skill tree needs an overhaul. After a certain period, the upgrades become so incremental that they’re useless. Triple shot arrows are cool, but is such an ability worth wasting a skill point on? Similarly, if Aloy’s health is low, why risk melee combat just for a Health Point boost? Speaking of melee combat, apart from fights versus Watchers, using the spear as a blunt weapon offers minimal benefits. Moreover, the melee system itself feels so clunky that it’s often best ignored. Perhaps one way Guerrilla could rectify this is by allowing players more control over Aloy’s swings. The spear can, admittedly, feel a little chaotic and unwieldy after a number of hits. 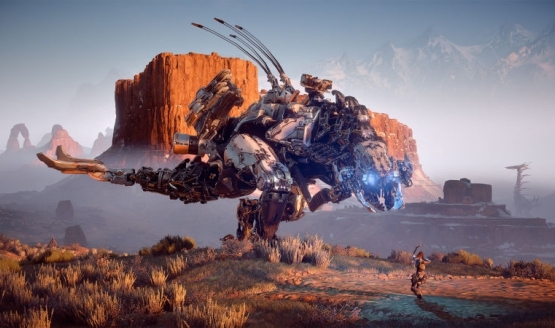 With the presumable advent of new machines in Horizon’s sequel, especially if Aloy ventures into the Forbidden West, gameplay will receive a few nips and tucks. Here’s to hoping that, for the most part, very little undergoes change, though. Again, Guerrilla deserves endless applause for mastering the moment-to-moment gameplay experience. Where Horizon Zero Dawn is concerned, the potential for additional entries shows signs of being indefinite. Presently, how far Sony and Guerrilla are willing to take it remains to be seen. Tell us in the comments where you think Aloy’s next adventure will take her.